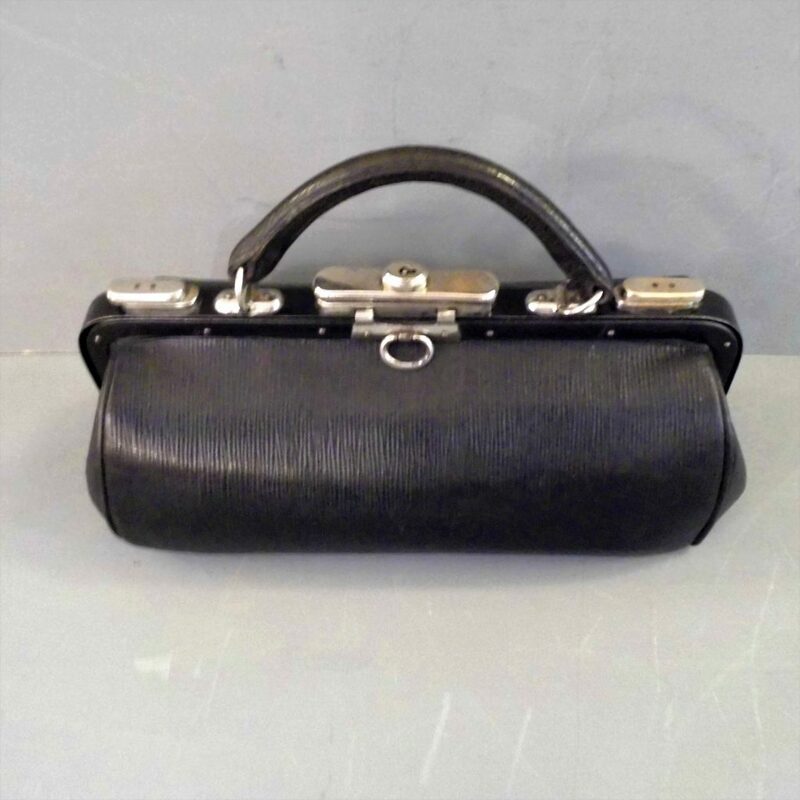 Black Leather Gladstone Bag | Cute 1930s bag in very good condition. 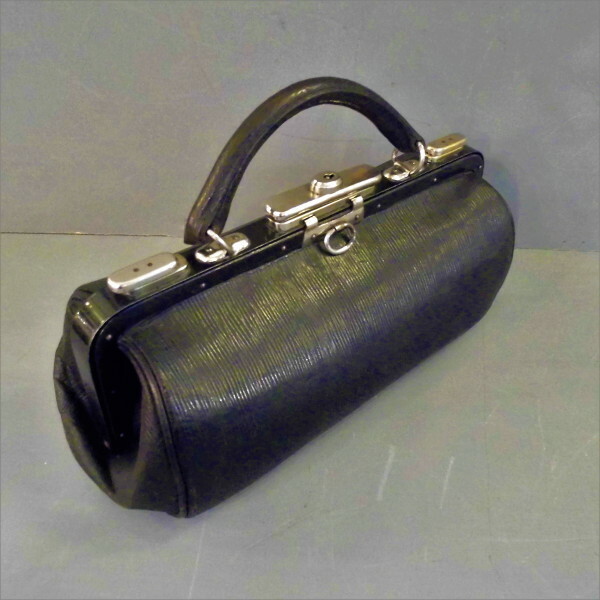 An unusually small and nice quality Black leather Gladstone Bag made in England circa 1930 . This ribbed leather Gladstone bag small enough to be used as a handbag or clutch bag but has the look and feel of a much larger bag. It is secured with two chrome clasps and a further catch/lock , like the larger Gladstones in can be fully opened and fixed into position. 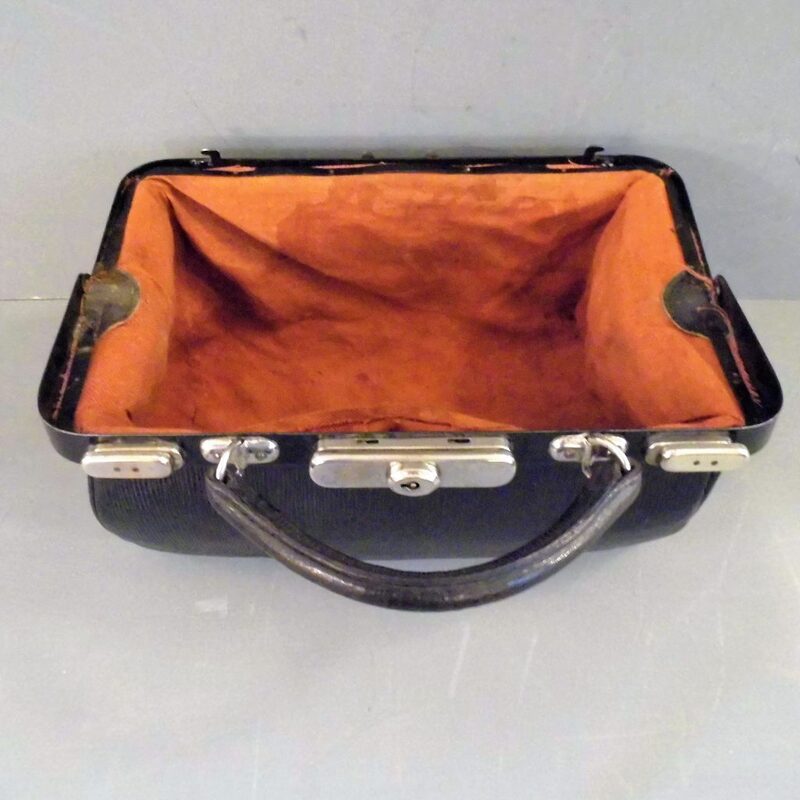 It is in very good vintage condition: there are no marks to the leather or handle , the inside lining fabric has been cleaned but there is some staining, slight tarnishing to some of the chrome fittings. 23 cm high (including handle).